Welcome to the worlds greatest guide to Women's Shirts. Are you actually looking for Women's Shirts? Well, we hope you are because the reality is that you have found our Women's Shirts page. Apparel Search is a leading guide to fashion, style, clothing, glam and all things relevant to apparel. We hope that you find this Women's Shirts page to be helpful. What are women's shirts? They are tops. Yes, to be worn for the top part of the torso or trunk of the body. Shirts can be long sleeve, short sleeve, 3/4 sleeve, to name only a few options. 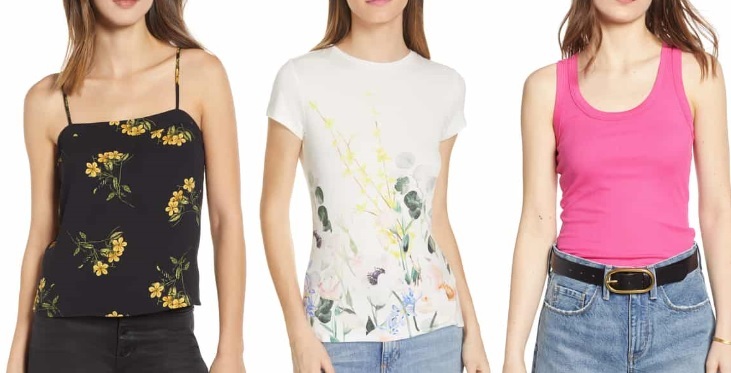 The reality is that a women's top comes in a very wide assortment of silhouettes. They come with collars, without colors, with buttons, without buttons, printed, solid colors, you name it. Huge assortments can be found at your favorite clothing stores. Why are shirts important to women? The same reason that they are important to men. They cover the top portion of the body from the elements. A shirt is a cloth garment for the upper body. They come in a wide variety of styles, fabrications, and colors. In British English, a shirt is more specifically a garment with a collar, sleeves with cuffs, and a full vertical opening with buttons or snaps (in North Americans we would call this specific type of shirt a "dress shirt". 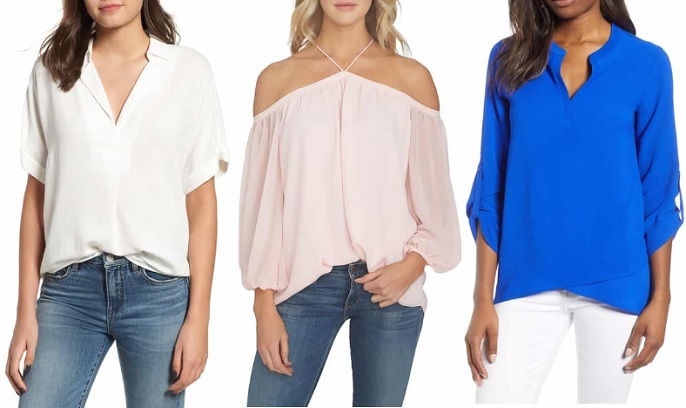 Types of shirts include casual shirts, dress, shirts, t-shirts, polo shirts, rugby shirts, sweatshirts, halter tops, tube tops, tank tops, and more. Learn about more shirt categories in our fashion terminology section. You can also check the women's blouse page for more information regarding tops for ladies. Also, check the types of t-shirts page. Also, if you are into luxury fashion, you may wish to check the cashmere shirts and cotton shirts sections. You may also want to check out shirt categories such as tennis shirts. What ever type of shirt you are wearing is most definitely in style.